Monsoon Breeze offers 3900 sq ft 5 BHK 4T Northeast facing Resale apartment for sale in sector 78, Gurgaon. 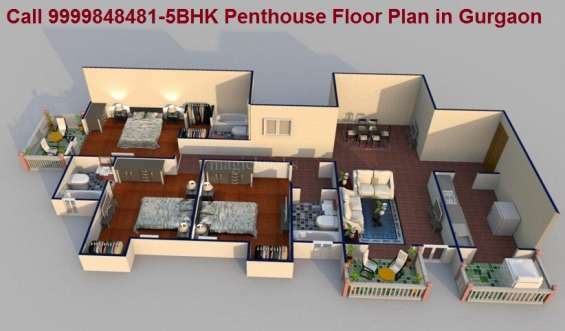 5 BHK Penthouse for Sale by global homes Gurgaon, Duplex penthouse with open terrace, Aravali hill view, three side open, modular kitchen is available for resale. The property is located at a prime location. For more details contact us - 9999848481. •	Metro route (extension of yellow line upto Manesar under Gurgaon-Manesar 2031 master plan) also in close vicinity. 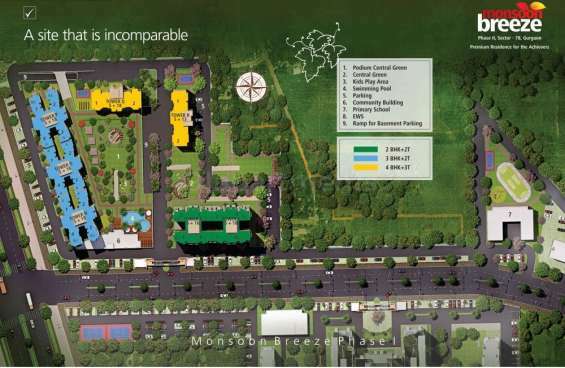 •	Elevated central podium greens- tennis/volleyball/badminton courts etc. •	100 % Power back up & Water Supply. •	Retail Hub-To cater to the daily needs of the residents. •	Exclusive Club with state-of-the-art Gym & 2 swimming pools. Grate Service provider in faridabad. 3BHK fully furnished flat in Sushant Estate. AC in all bedrooms with D/D. Geasers in all bathrooms. Complete woodwork. All amenities. Call for for details on +91.9873476556(ATUL DIXIT).